Historically, while thinking about luxury, the world used to look at the West. Today, being Asia, the place where innovation happens, and where the majority of UHNW live and consume luxury experiences, the East is driving transformation in the luxury world. Retail in Asia, keen to understand what is luxury in the eyes of the UHNW, has met with Quentin Chiarugi, Chief Executive Officer of Sarment Holding Limited. Sarment got our attention earlier this year when it was named the top-ranking luxury company in the inaugural Financial Times 1000 High-Growth Companies APAC list and raised C$19.1 million (HK$115.1 million) in an IPO on the TSX Venture Exchange in Toronto, Canada, which valued the company at C$98.6 million (HK$594.4 million). The word “sarment” comes from Middle English (1150 to 1470) meaning “a thin stem that forms a new plant” – Collins English Dictionary. In this sense, Sarment helps brands to grow and attract UHNW individuals. Sarment was established in 2012 providing “art de la table” products and services to both private individuals and enterprises active in the luxury community. It evolved into a broader lifestyle service provider offering premium experiences to its expanding base of affluent clients, establishing its position as a trusted authority in all things luxury. Different from any concierge services, Sarment does not react to users’ requests, but curates content and suggestions to provide them with a wide range of experiences based on their preferences. This personalized approach has tuned it into one of Asia’s major luxury service providers with hundreds of global partners spanning a growing network of luxury businesses. Backed by Paolo Bulgari, Sarment announced the launch of the world’s first luxury marketplace that combines both high-end products and services into one digital ecosystem. 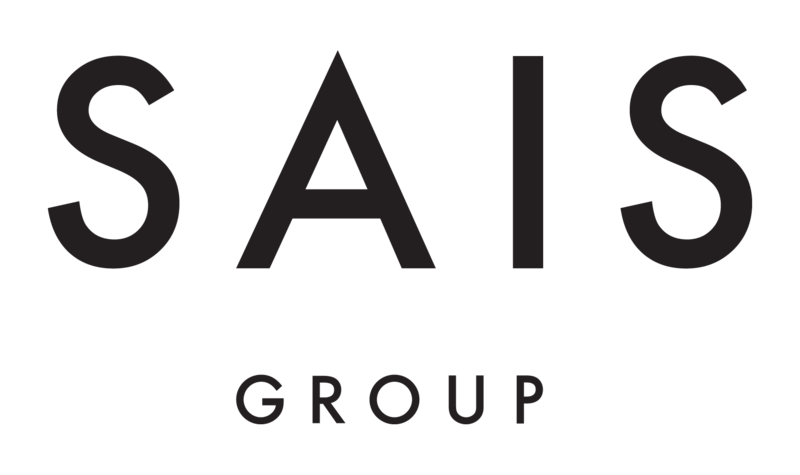 SAIS (Sarment Intelligent Services) group is a luxury lifestyle service provider. We create a seamless world of intelligent services serving the UHNW consumer segment. KEYYES, our proprietary platform, is a luxury eco-system that aggregates exclusive experiences and products from a global network of brand partners and luxury providers. Users discover expert insights, purchase hard-to-find goods and make bookings for curated experiences or at featured lifestyle venues. ‍RiA : Where did the idea of SAIS’s digital platform, KEYYES, come from? Quentin :We wanted to offer our customers a place, where we could expose all of the great partners and products that we have had access to for years. We knew the digital space was the only solution to do so effectively, especially given the scale we had envisioned. ‍RiA : KEYYES seems to solve the dichotomy between luxury and the internet. What are the pillars of this winning combination formula? Quentin : It took a lot of thinking and know-how to figure out how to bring the two together. Not because luxury does not understand digital but because luxury is all about precise control of the brand and the online world can be, too put it simply, uncontrollable. 200 years of brand building can be destroyed in a few days simply because of something going wrong online and consequently, viral. The luxury market protects itself for a very valid reason. This is why our approach has completely changed this perception of the digital space. We understand the fundamentals of luxury and we have worked very hard to ensure we translate them into the digital world we have built. Our users are part of gated communities, our content is curated in house, our offering is carefully exposed into a secure and safe environment with a personal touch. We combine brick and mortar access with online purchase of goods and high touch personal service to ensure the diversified offering from luxury brands is respected. We have gone really far in allowing the system with the utmost flexibility. Brands can choose where and how they are exposed and this is a real evolution for the industry that will bring both luxury and tech together. It is the only platform in the world which can do this across multiple luxury lifestyle categories and we are talking today to many brands keen to make the jump. RiA :The platform is presented as a tool to serve “UHNW communities” as customer profile. What is your actual digital persona across different countries? Is there a common denominator among them? Quentin : The platform sees the curation of the fascinating and quality driven partners, products and stories, all presented in a sophisticated way. From the content we create, to the products you can buy or the places you can book, the common denominator is the trust from our gated communities that we have curated the environment and they can make their choices without worrying. The differences will be that each location will have its own personality especially with the brick and mortar offering and content. RiA : What are they looking for? Quentin : Consumers are looking for a digital space they can trust. A platform with expert advice, quality content, easy and direct access as well as a pro-active approach where we propose to them experiences and products that would be of interest rather than waiting for the user to tell us what to look for as most traditional service companies offer today. RiA :How do you pick your partners? ‍Quentin : In each city we have a presence, we have engaged “ambassadors” to curate products and experiences for our users. These tastemakers are experts in different fields and they will share their knowledge on the platform in a way that our partners become relevant to your users. This is a very technical and painstaking job which requires time, resources, credibility and know-how. We work very closely with the partners to understand their business attributes and offering. The experts then make a decision if they should be in the ecosystem or not and how we should expose them to the user base. RiA :You have more than 15 years working on the forefront of luxury customer experience. How would you define a luxury experience? And in which way does your background contribute to this new business? Quentin : A luxury experience should be first and foremost personal, comfortable and knowledgeable. We often associate the luxury segment with high prices, glittery runway shows and experiences. But, this concept of luxury is not totally accurate. For almost two decades, I have learnt and observed what products and services the HNW and UHNW consumers are after, how they wish to be approached and what would trigger their interest. This has been one of the pillars of how our digital business has been shaped. RiA :Technology plays an important role in SAIS’s development. What’s next on this front as you are also among the pioneers in AI application? Quentin : We have a number of amazing projects on this front. We will soon announce cutting edge technology that will continue to provide layers of trust for the consumers to purchase luxury online. We are launching new Artificial Intelligence modules over the next few months, which will have a great effect on the management of customer’s interactions in support to our service teams. RiA :“Sarment gives access to curated content, a reservation system, and a global marketplace across multiple luxury genres” (website). As storytelling is a strong component of luxury, you have curated content as the first touchpoint with your customer, to then narrow down to provision of goods through the marketplace and reservation system to rebuild “exclusivity”. How do you envision your customer journey and in which way those three elements interact with each other? Quentin : When we first started, we envisioned a very simple customer journey: You discover through our content, you experience through our booking system and you purchase what you like through our marketplace. I often cite the example of my own experience with a restaurant I read about on KEYYES, and then booked using the App. After going there and having the most amazing meal, I was able to purchase these same ingredients used by their Chef through the App’s marketplace the following day and have them delivered to my doorstep. What an incredible experience! We have since noticed the access to the platform is becoming more and more complex, and the customer journey is getting increasingly varied. Users come to purchase and end up reading about another subject. Or they book a restaurant and end up purchasing grooming products. RiA :Any plans for offline encounter branded KEYYES? Quentin : We are focusing on the digital space and we have no plans for an offline offering today. Our role is to showcase high quality businesses, tell their stories and give our target consumers access to their products and services. This approach will continue to be a key driver for our partners. Quentin : We recently announced a partnership with Blackberry to co-develop KEYYES CHAT, a highly-encrypted messaging application to provide identity and overall data security management for our consumer base. Additionally, we need to keep building SAIS group – by attracting new talent, developing new technologies and expanding into new territories. I cannot reveal much more at this stage, but the SAIS group has many other great innovations in the pipeline that will hit the markets in the coming year. Retail in Asia is looking forward to a 2019 full of immersive luxury experiences!